Khashoggi, a Saudi national working for the US press, was a well-known critic of his home country's rulers. 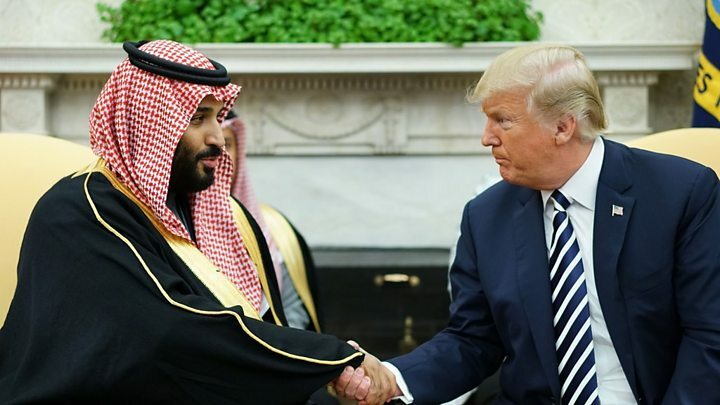 During the call with President Donald Trump's son-in-law Jared Kushner and National Security Advisor John Bolton,Prince Mohammed said Khashoggi had been a member of the Muslim Brotherhood, a transnational Islamist organisation, the Washington Post reported. In a statement to the newspaper, Khashoggi's family denied he was a member of the Muslim Brotherhood and said the murdered writer had himself denied this repeatedly in recent years. 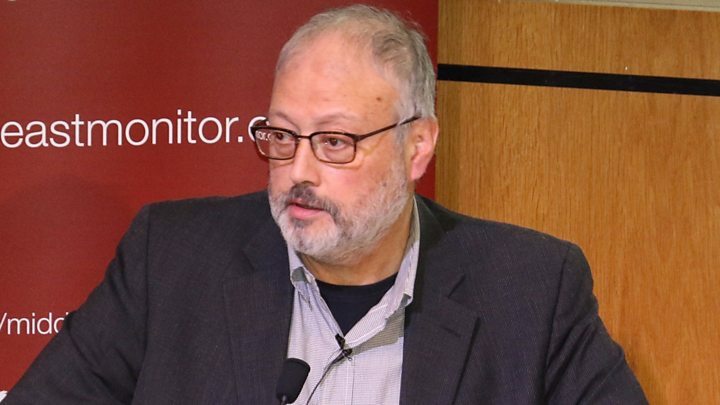 "Jamal Khashoggi was not a dangerous person in any way possible. To claim otherwise would be ridiculous," the statement said. 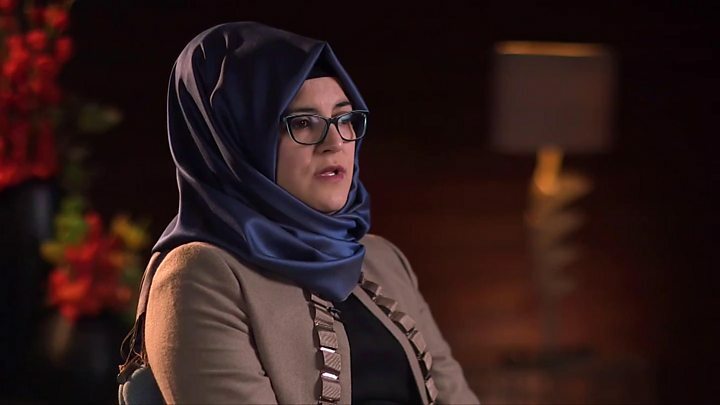 Media captionHatice Cengiz: "We didn't say any goodbyes"
On WednesdayTurkey said he was strangled immediately after entering the consulateand his body dismembered "in accordance with plans made in advance". 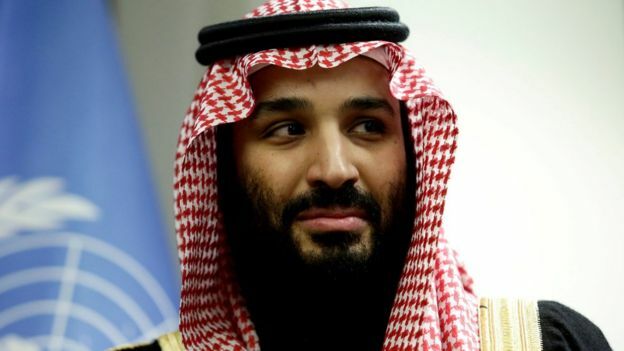 When he first disappeared, it said Khashoggi had walked out of the building alive. It later admitted he had been murdered, saying the killing was premeditated and a result of a "rogue operation". Turkey has steered away from publicly blaming Saudi Arabia for the killing. Saudi Arabia has faced backlash over the death, including from its allies, who have called for answers. President Trump has said he is "not satisfied" with the Saudi account. However, he also said he was unwilling to sacrifice lucrative arms deals with the country. On Thursday US secretary of State Mike Pompeo said it would be a "handful more weeks" before the US knew enough to impose sanctions on individuals involved in Khashoggi's killing. Mr Pompeo told a local radio station in St Louis that the US had "deep and long-term strategic relationships" with Saudi Arabia and said "we intend to make sure that those relationships remain intact". US activists have launched a petition, calling for a section of road near the Saudi embassy in Washington to be renamed Jamal Khashoggi Way. He said France was not "dependent on our economic relations with Saudi Arabia" and the country would impose sanctions, but no details were given. UK Foreign Secretary Jeremy Hunt also said it was an appalling act, adding thatit had "possibly" given the US and the UK a chance to put new pressure on Saudi Arabiaover other issues. Earlier,the US called for a swift cessation of hostilities in Yemen, where a Saudi-led coalition has been fighting local Houthi rebels.